There’s a reason that the classic fairy tales have been around for so many decades, some even centuries now. Children love the stories that fairy tales tell, the repetition makes them easy to remember and the characters become like friends over time. There’s just something so special about sharing a fairy tale with your little one that you one day were read as a child too. The Big Book of Fairy Tales is a collection of eight classic children’s fairy tales. It includes Little Red Riding Hood, Puss in Boots, The Gingerbread Man, The Three Little Pigs, Rapunzel, Goldilocks and the Three Bears, The Snow Queen and Hansel and Gretel. Each of the fairy tales is beautifully illustrated with bright and colourful drawings that your children will delight in looking at. The stories are also wonderfully told, and get a big thumbs up from this mom. When I first started reading fairy tales to my young daughter I was actually quite surprised at some of the endings and I always found myself editing them for her. I was so happy to see that the fairy tales presented in this book are family friendly, each retold for younger children by Saviour Pirotta. For example, the wolf in Little Red Riding Hood isn’t killed by the woodcutter but rather just scared away, and the wolf in The Three Little Pigs isn’t killed in the pot but instead runs away with a burnt bottom! 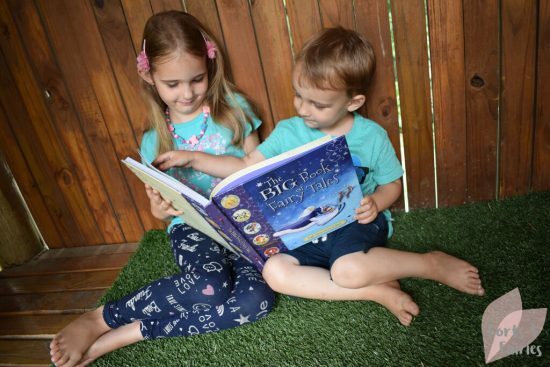 The Big Book of Fairy Tales will make a wonderful start to your child’s library if you have a little one, and it’s also a great addition to make sure you share these classic fairy tales with your children during story time. The Big Book of Fairy Tales is available in hardback from book stores and online retailers for a recommended retail price of R190. 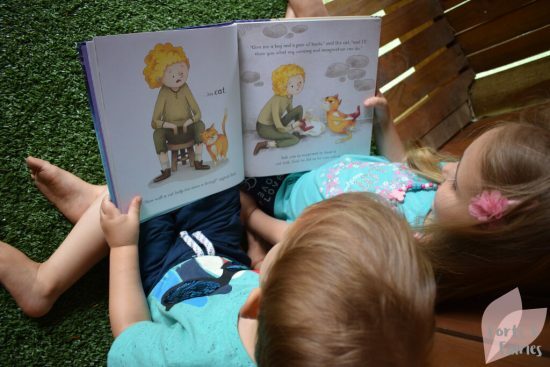 It’s recommended for children aged three to six years and is also available in Afrikaans. 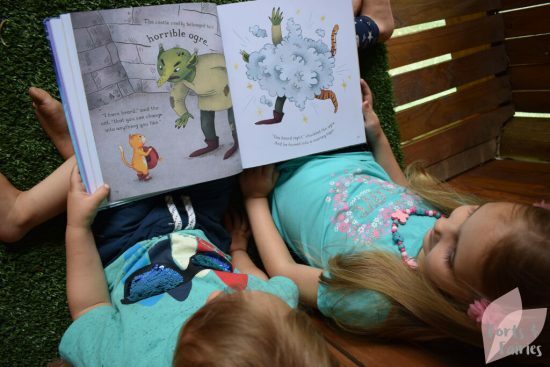 Thanks to Penguin Random House for sharing these fairy tales with us. Power Rangers Ninja Steel, Red Ranger and Ninja Training Gear!